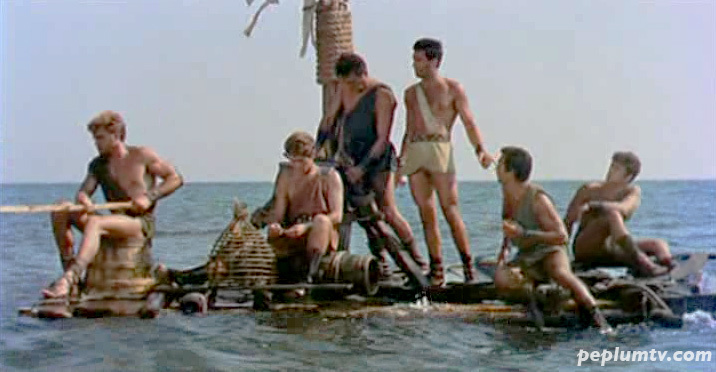 That's Kirk Morris (Hercules), Enzo Cerusico (Ulysses), Aldo Pini (Tifi), Willy Colombini and Fulvio Carrara. I can't identify the last fellow sitting at the far right. If I ever make a PEPLUM film there'll be a raft scene for sure.